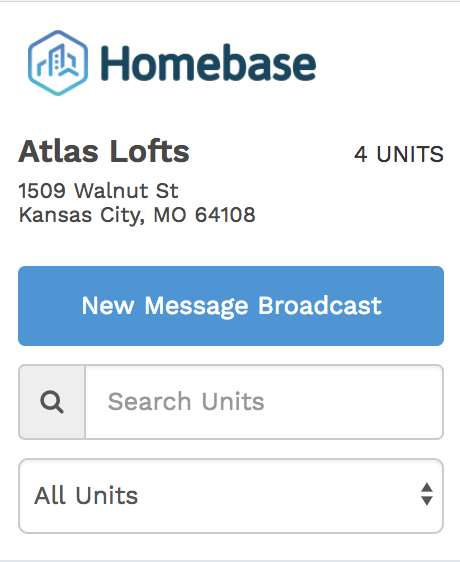 How do I filter or search the units of my property in the Unit List? 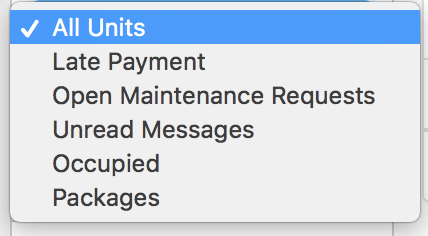 To filter the units of your building or property in the Unit List, hit the drop down menu to reveal all filtering options. 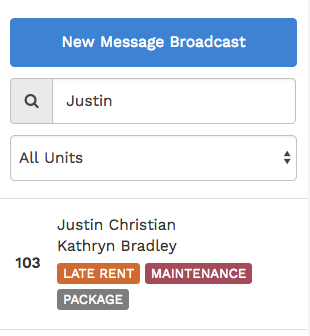 These filters will return a list of any units that are late on rent, haven open maintenance requests, etc. The below search results shows Justin Christian's unit.